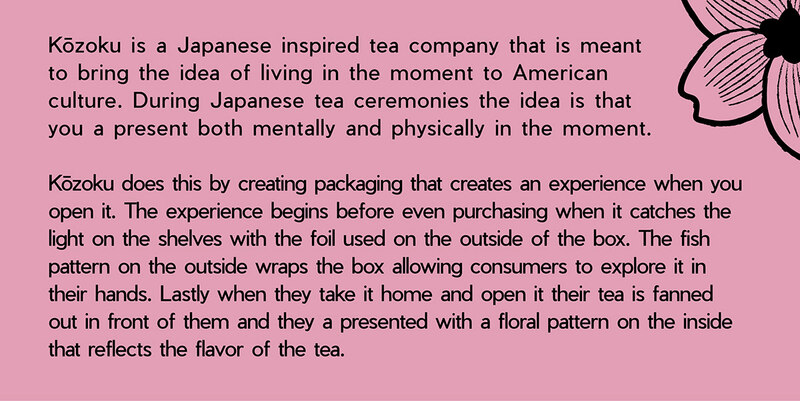 Kōzoku is a Japanese inspired tea company that is meant to bring the idea of living in the moment to American culture. During Japanese tea ceremonies, the idea is that you present both mentally and physically at the moment. 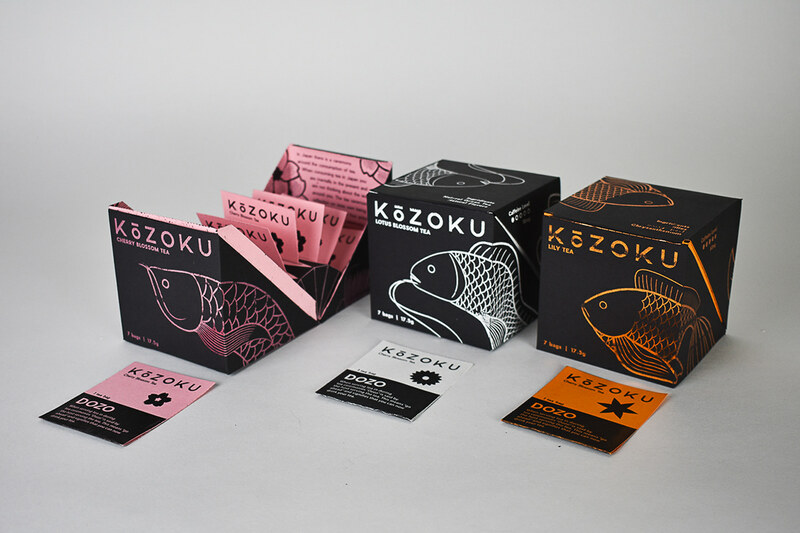 Kōzoku does this by creating packaging that creates an experience when you open it. The experience begins before even purchasing when it catches the light on the shelves with the foil used on the outside of the box. 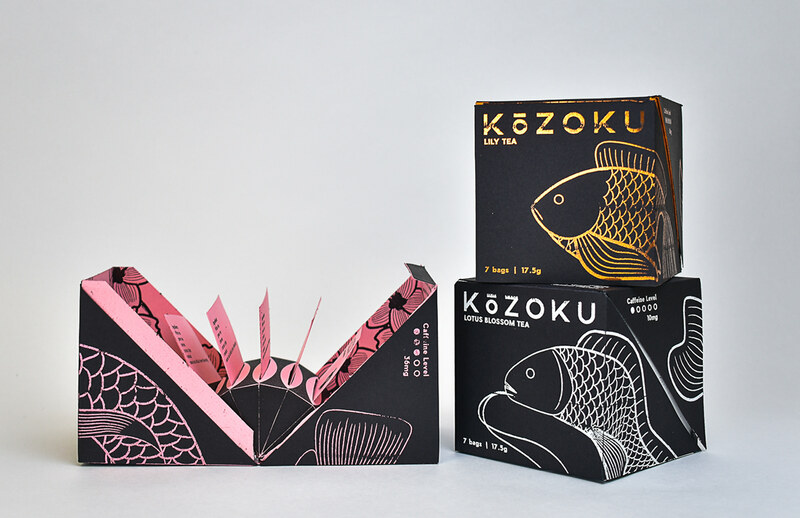 The fish pattern on the outside wraps the box allowing consumers to explore it in their hands. Lastly, when they take it home and open it their tea is fanned out in front of them and they a presented with a floral pattern on the inside that reflects the flavor of the tea.